I've recently put together these almost identical twin robots to test some community behaviour programs, such as follow the leader. Each robot is controlled by an Arduino Uno R3 board with a 1 Amp motor shield and powered by a 6V battery pack. 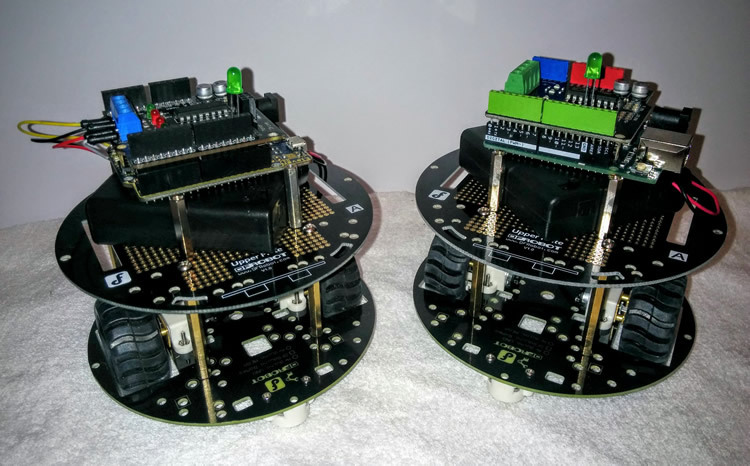 When complete, each robot will feature an ultrasonic range sensor array and some infrared emitters and detectors to allow the robots to communicate with each other.